With over 10 years’ experience within the transport industry, we know the problems that can unexpectedly occur when it comes to timed consignments – some of these challenges might include difficult access to the delivery property, for example. We pay attention to each and every detail and our vast experience ensures that you will have peace of mind, in the knowledge that we are dedicated to complete all deliveries on time and that we will follow all guidelines set out by you. 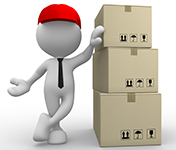 At Chosen Logistics, you can rest assured that we will do the job you expect….. hassle free! We are highly experienced at solving all sorts of complex logistical problems with the kind of professionalism and punctuality which will get your consignment to where it needs to be – when it needs to be there!